Located directly at the Danube our Ars Electronica Center makes a visual impression already from far away. With its spectacular architecture it is an eye catcher. Our center is way more than a museum of the future: art and science, education and technology are perfectly combined here. In these unique premises you may enjoy various spaces and possibilities for your impressive event. Of course, all spaces include modern technology. Due to their variety they can all be used for individual events. From congress, seminar or conference to a gala or a reception and business events like product presentations or press conferences – there are no boundaries for your ideas. Over 500 guests can attend your event. The entire building is barrier free. Parking spaces can be found nearby. A reception at the arty foyer places the first milestone for your successful event. Inside the impressive foyer your guests can be welcomed. A great highlight, which is even unique worldwide, is the Deep Space. Modern projectors make presentations with crystal clear pictures and movies on 16 x 9 meters possible! Even the floor can be included into your projection. Up to 150 guests fit inside! In the basement you can book a seminar room with cinema chairs. This room is great for conferences and presentations. The Skyloft on the third floor offers a great view of the city. 20 to 150 people can experience your events. The room can be adjusted to your needs. On the top floor of our building the Project Space is the smallest but best suited room for small seminars. With our adjustable open air location Maindeck you have spectacular possibilities to host your event. 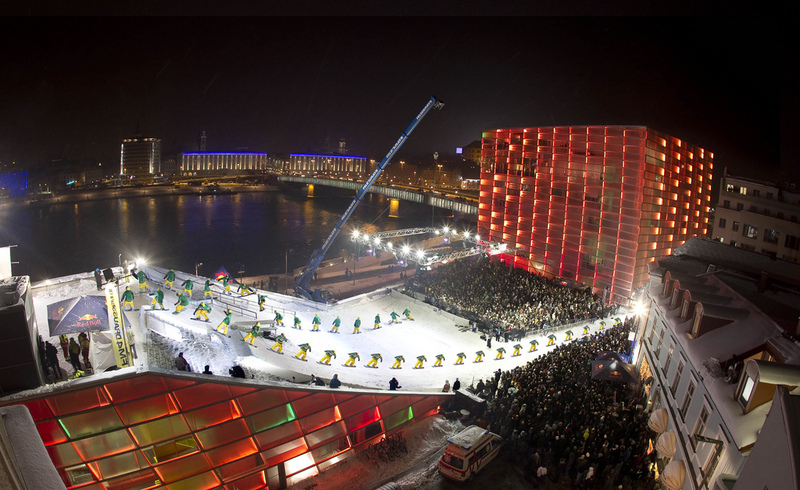 You can realize your event ideas where already snow board artists or BMX bikers showed off their skills and where even large galas were hosted. On a total space of 1,500 m2 from 300 to 2,000 guests can be welcomed. When it comes to the catering for your event, then you can count on the team of the restaurant CUBUS which is located at the top floor. For business events you may light up the LED walls of the Ars Electronica Center in your CI colors. Together with you we will gladly create an individual offer for your event.